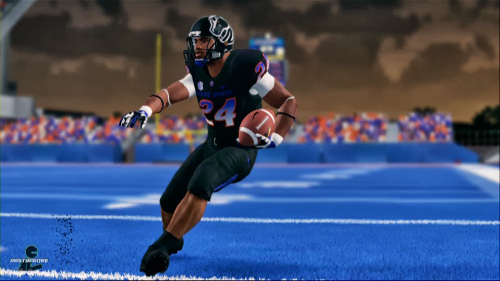 An appeals ruling last September in the Ed O’Bannon vs NCAA class action lawsuit complicated the potential return of college sports video games. District judge Claudia Wilken had initially ruled in favor of the plaintiffs, finding that the NCAA violated antitrust laws and that college athletes should be able to receive up to $5,000 a year in deferred payments. The District Court ruling had made it possible for the likes of EA Sports to pay into a trust that would have been dispersed to players after they left school. They would have been able to license the use of their likenesses including names for video games. That would no longer be allowed based on the 9th Circuit’s reversal. Players would not be able to receive any compensation above the full cost of attendance. Today the plaintiffs petitioned for the matter to be heard by the Supreme Court. Whether they hear the case or not a decision will effectively be made by them. If they pass on it then the ruling from the lower court stands. If they take it, they can reverse the decision barring compensation above the cost of attendance or choose to affirm it. A split decision, given that the court for now only has eight justices, would cause the lower court ruling to stand. This will be important to watch, as there is little chance of a college football or basketball game returning until players can actually be paid for their likenesses. Until then implementation within another product like was seen with NBA 2K16 could be the best option available. That concept adds value to an existing already popular product rather than counting on an unlikely scenario of enough consumers paying money for a generic game, with fake teams, players, conferences, and bowls, to justify the development costs and become profitable. For more on this news check out the article written today over at Sporting News. For a full summary of the situation with college sports video games – from the first lawsuit filing to where we are today – make sure to read through this piece over on Hit The Pass.